FOR IMMEDIATE RELEASE: Philadelphia, PA, February 16, 2018--Breaking Glass Pictures has acquired US rights to the retro, haunted house horror feature HOUSE OF EVIL. Breaking Glass acquired rights to the film in October in a deal negotiated between Breaking Glass CEO Rich Wolff and Frederic Demy of The Story Forge, LTD. 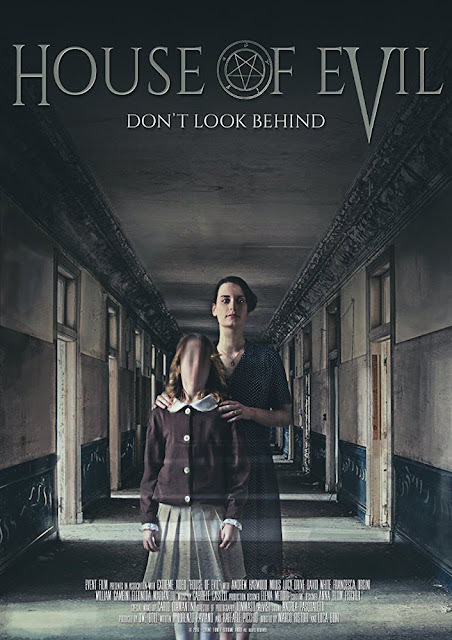 Described as a film that brings “a perfect blend of old school and modern horror” (Horrorscreams Videovault) which “builds to a satisfying climax that wraps itself contentedly in its Italian roots.” (The Schlock Pit), HOUSE OF EVIL was an official selection at the Ferrara Film Festival and the Italian New Horror Film Festival. The film stars Andrew Harwood Mills (Retribution, Zombie Massacre 2: Reich of the Dead), Lucy Drive (Dead End, Cassette, Outside Bet), and Désirée Giorgetti (Alaska). Based on true events, HOUSE OF EVIL follows a young couple who, in the 1970s, move into a large, remote house in the countryside with hopes of starting a family. However, it's not long before they are menaced by ghosts and a darker demonic presence. HOUSE OF EVIL will arrive on May 8 on DVD and VOD platforms including iTunes, Amazon Instant, Google Play, Xbox, PlayStation, Vudu, Fandango, and through local cable/satellite providers.